On the bench above Triangle X, access via Bridger-Teton USFS access road off Hwy 89. Thanks for the photo A. Read! 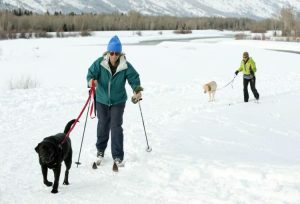 The levee north of Emily Stevens Park will close May 1 to June 15, and will be open for public use only on Sundays during that period, a Teton County/Jackson Parks and Recreation release said. Teton County is building a gravel stockpiling facility for the U.S. Army Corps of Engineers for levee maintenance, Road and Levee Manager Dave Gustafson said. Large contractor trucks will haul material back and forth to the levee. The parking lot and access to the Snake River bridge pathway will remain open, and a person will be at the gate to ensure user safety. 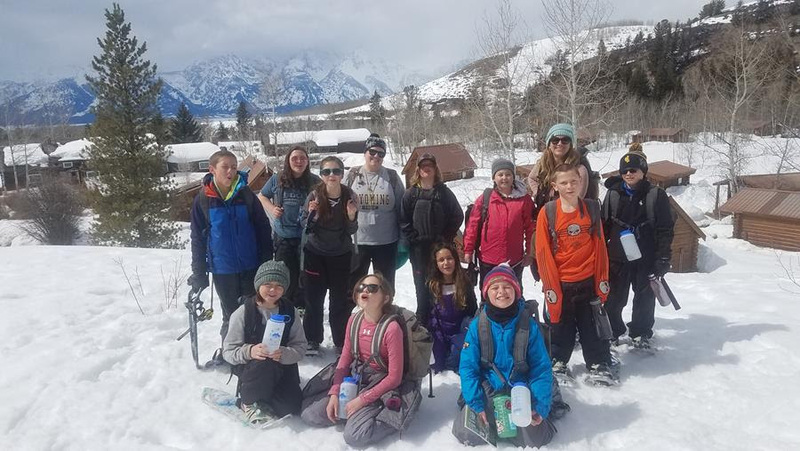 Students from Spring Creek Elementary (Laramie, WY) enjoy spring snowshoe conditions last week on the Kelly Campus. Get your best photos in now – Win 10 buffs with your photo! 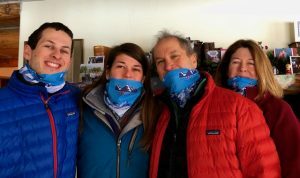 The JH Nordic Alliance is looking for amazing photos or illustrations to become the image for the 2019-2020 Limited Edition JH Nordic Buff (neck gaiter). 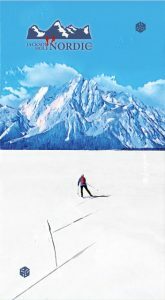 Images of Nordic skiing, wildlife, fat biking, winter trail fun, an iconic image of Jackson Hole, the Tetons. 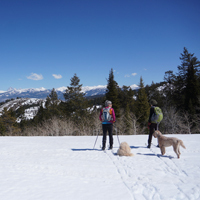 Images from this winter or past, or get out now while the crust cruising offers great photos! The contest is open from April 1st to 17th – You may submit as many images as you like. Email your image(s) to: info@jhnordic.com (with your name, email, contact tel.) by April 17th. You must be the owner of the image. 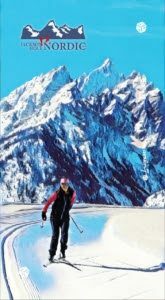 Winners will have their image featured on the JHNordic 2019-2020 neck gaiter, manufactured by local company Avalon 7. The final image will be selected by the JH Nordic Alliance, and may be graphically enhanced to add to a creative look. (N.B. image dimension is vertical, but may be a cropped part of an image). 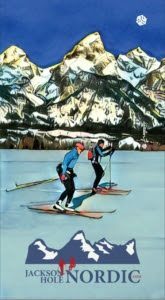 Winner will receive 10 of the new 2019-2020 neck gaiters (value $200), and gives the JH Nordic Alliance full rights to use this image. 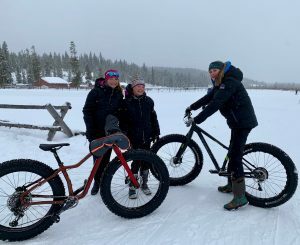 JHNordic buffs – a family favorite for Nordic, fat biking , alpine skiing, hiking, biking, travel…. 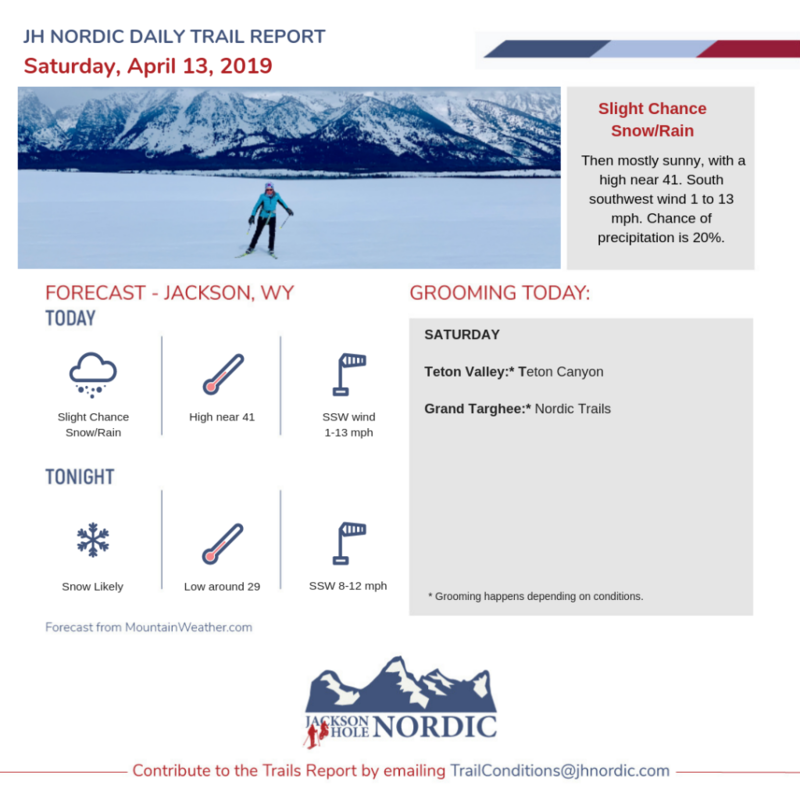 TVTAP– We are done grooming everything except for Teton Canyon. Today we groomed Alta for the last scheduled time and will plan to pull the trail stakes this weekend. 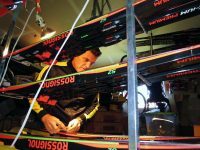 We may groom Alta once or twice next week if the weather cooperates. That comes in the form of all our supporters. 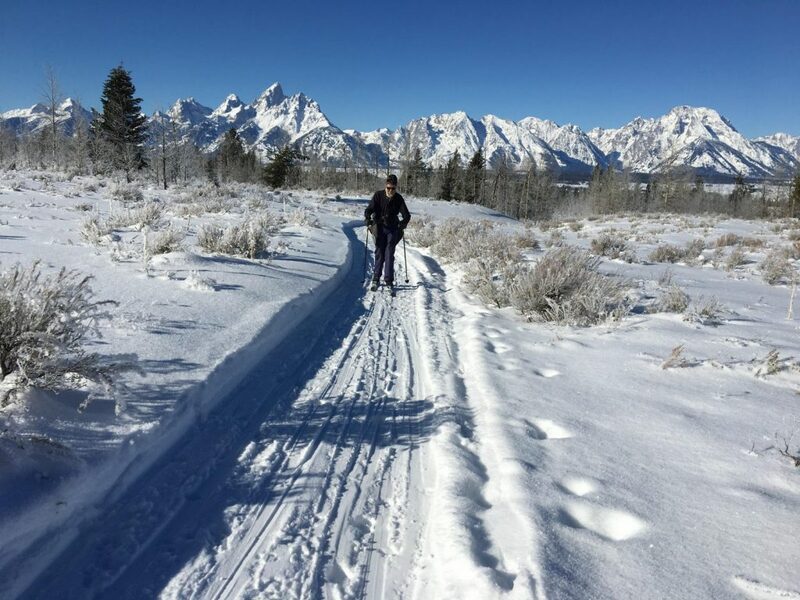 Many thanks to the JH Ski Club Nordic program and Teton County/Jackson Parks & Recreation Dept for outstanding grooming since early December. 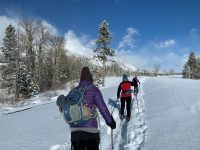 Our community is fortunate and grateful for these exceptional winter trails for all! 8:40am: the levee and Stilson are groomed and in good shape. A reminder that this is the last day of grooming for the season so get out and enjoy the trails while you can! I will be heading to the school fields shortly and should be done around 10:30. Trails continue to groom out very well. 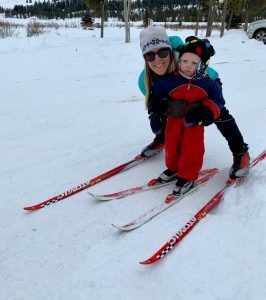 Get out and enjoy some great late season skiing over the final days. Last day of grooming is Sunday (4/7). 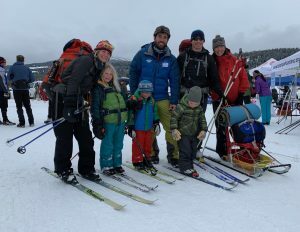 Thanks for another great winter and hope you had some memorable Nordic adventures over the last 132 days! The quality of skiing yesterday was, truthfully, pretty incredible for this time of year. The snow is light and relatively deep. Closing weekend is going to be a fun & wild party with the Pond Skim tomorrow and Closing Day on Sunday! 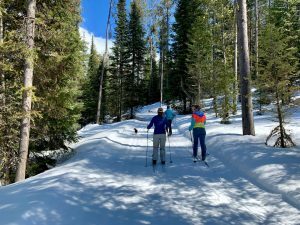 Cross Country/Fat Bike 15k: XC OPEN (Last groomed AM 4/12/2019, NO CLASSIC), Fat Bike CLOSED. Due to warming temperatures, it’s time to quit grooming for the year. 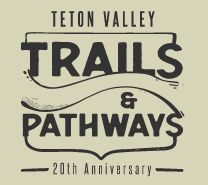 I want to thank all of those who use the trails. Special thanks to the folks who pick up after their pets, it‘s a huge help. We pulled the stakes at the track today. There is still plenty of snow but it is awfully mushy. 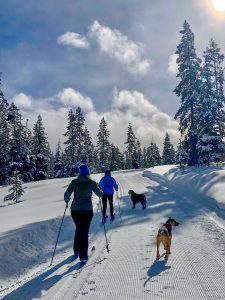 Too soft to groom and not much skier traffic. Looks like we are in for rain and above freezing temperatures for the most part this week so this is probably the end of grooming for the season unless it consistently cools down. It has been a wild one. Friday: Reset both classic and skate tracks this morning. Cold temperatures and a couple inches of fresh snow allowed both to turn out quite well. I believe both classic tracks will hold up nicely for the weekend. I’ll plan to reset skate track early Saturday morning. 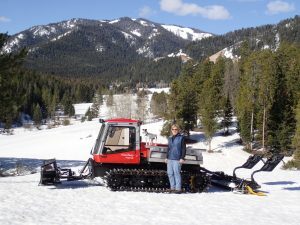 Might be the last two days to ski TS as the golf course crew resumes work in April. Get out and enjoy! 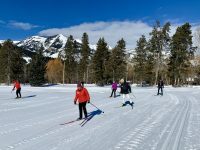 One of JH’s most popular community winter fun events – open to all, family, friends, and dog friendly. 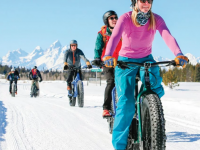 Free fat bike demos courtesy of Teton Mtn Bike Tours, Friends of Pathways, Hoback Sports, The Hub. Want to get involved, sponsor an activity, the raffle, volunteer? This community event is a great way to connect with our community and visitors. Contact nancy @ info@JHNordic.com.